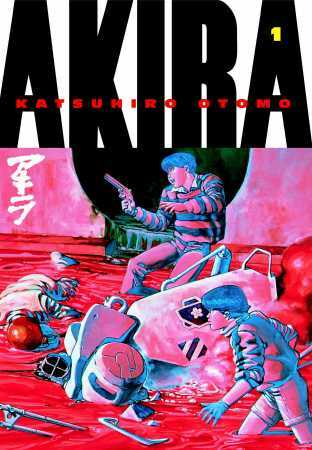 What’s it about: In Neo-Tokyo, a city built on the ashes of an annihilated Tokyo, the lives of friends Tetsuo and Kaneda are changed and threatened when supernatural powers awaken in Tetsuo. Someone is targeting him, and they’ll stop at nothing to prevent another global catastrophe. Why is it good? More than any other manga classic, Akira needs little introduction. Katsuhiro Otomo’s epic series is not only considered one of the finest works of graphic fiction ever, but the manga and its ensuing film adaption have become cultural touchstones in sci-fi fandom worldwide. With a gripping cyberpunk story that tackles themes from individuality to post-nuclear society, Akira is a worthy cornerstone to any manga collection. Akira is complete in 6 volumes, available from Kodansha Comics! What’s it about: Last Order continues the adventures of Alita, the beautiful and deadly cyborg who fights to discover the secrets of her past in a futuristic, post-apocalyptic world that spans the solar system. Why is it good? Last Order is an obvious choice for any Battle Angel Alita fan. It’s a long series, and I’m sure your favorite Alita lover would appreciate some help fleshing out their collection! The series is an addictive mix of badass characters, martial arts mysticism, and beautifully drawn cyberpunk worldbuilding. Plus, if you know someone looking to get into this series or pick it back up again, now is the perfect time, considering talks of a film adaption! 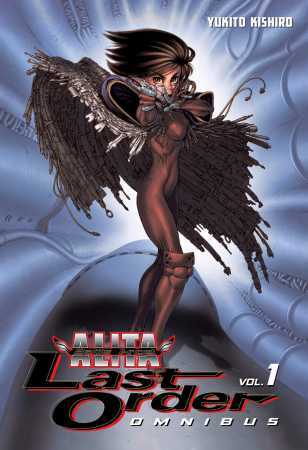 Battle Angel Alita: Last Order is available in 5, 3-in-1 omnibuses, and individual volumes 16-19! Why is it good? Together with Akira, Masamune Shirow’s The Ghost in the Shell is one of the all-time standards of cyberpunk fiction. It’s a must-have in any manga library, and sci-fi fans new to manga will fall in love with its deep, dystopian world and peerlessly cool protagonist, Major Motoko Kusanagi. From meditations on the soul to geopolitical issues in the age of technology, there’s so much to chew on in this classic series. And you have to make sure your friends read the series before the movie premiers in 2017! The Ghost in the Shell 1, 1.5, and 2 are available from Kodansha Comics, and check out Stand Alone Complex volumes 1-5. Definite, deluxe editions also available for preorder! What it’s about: Parasites. These terrifying, shape-shifting aliens arrive in droves and aim to assimilate with and consume the human race, and you don’t notice them until it’s too late. Can an ordinary high school student living with a parasite in his right hand save himself and warn humanity? Why is it good? Parasyte is a cult classic of horror for a reason! It’s gripping, violent, and its disturbing central enemies will haunt you long after you finish the books. Hitoshi Iwaaki’s landmark series pairs a horrifying premise with a very human story about a teenager grappling with his own identity in the face of a catastrophe. Love, action, death, mystery – it’s all here. This is a series any horror lover, manga fan or not, needs to read, and fans of the anime adaption will love to own the thrilling source material. 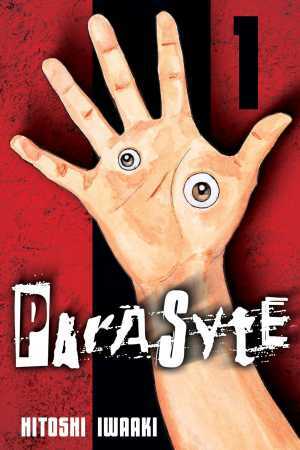 Parasyte volumes 1-8 are available from Kodansha Comics! 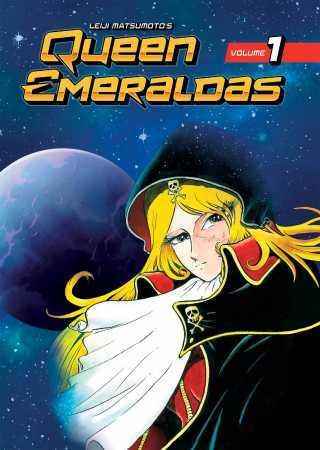 What it’s about: In a vast and unforgiving cosmos, legendary bounty hunter Emeraldas searches for something. Reckless wannabe-pilot Hiroshi Umeno dreams of flying his own spaceship. This is the story of the unlikely travelers’ paths, both alone and together. Why is it good? For starters, it’s one of a precious few works available in English by space opera master Leiji Matsumoto. Fans of anime classics like Galaxy Express 999 and Captain Harlock will know his name, and Queen Emeraldas is a must-have for any Matsumoto lover. It’s also a creative gift for music fans! Matsumoto collaborated with Daft Punk for their groundbreaking full album music video Interstella 5555. Even if your giftee isn’t familiar with the veteran author, Queen Emeraldas is an evocative, atmospheric treat for any sci-fi fan and manga completionist. Queen Emeraldas 1 is available from Kodansha Comics! 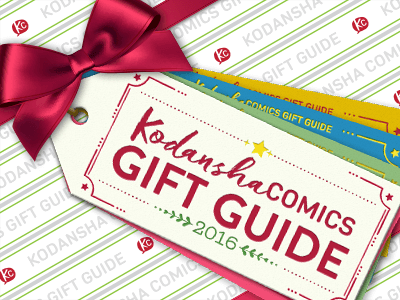 With these timeless picks, you’ll be well on your way to helping your loved ones build a manga collection they’ll be proud to show off (and you’ll earn some cred with said loved ones!). Next week, we’ve got series for readers who want to go on grand adventures full of action, friendship, and fighting spirit!